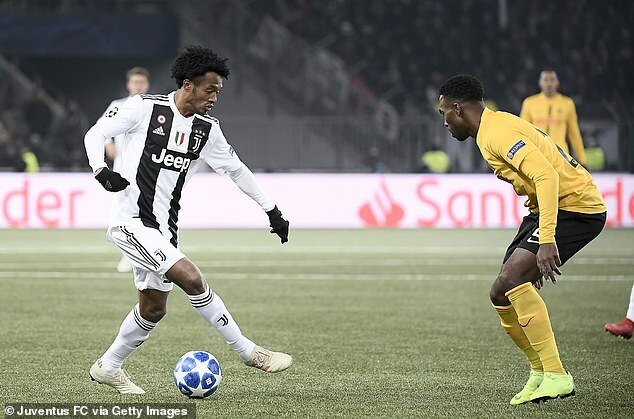 Juventus winger Juan Cuadrado has undergone successful surgery to treat an injury to his left knee, the Serie A champions reported on Friday. ‘Today, Juan Cuadrado was given an arthroscopic treatment on his left knee for the injury to the external meniscus and the cartilaginous fracture,’ the club said on its website. ‘The intervention, carried out in Barcelona by Dr. (Ramon) Cugat, and assisted by Juventus’ Head of Medical Staff, Dr. Claudio Rigo, was perfectly successful. The 30-year-old, capped 75 times, picked up the injury in Juventus’s 2-1 defeat at Swiss side Young Boys in the Champions League group stage on December 12. Cuadrado has made a total of 16 appearances this season, scoring one goal. Juventus, leading the table again, host fifth-placed Sampdoria on Saturday. The champions are nine points ahead of their nearest pursuers, Napoli.